We’re living in world where information is more accessible than ever before. This is a world where information that used to be off limits is now instantly available to the masses by going to any search engine. As individuals living in this new digital era, we also know what we want and that we want “it” now. 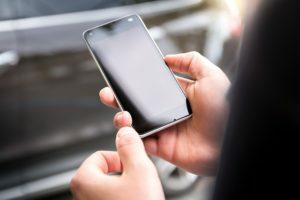 Luckily, with mobile apps for agent and brokers—and because of mobile app development companies—there are a plethora of technologies that enable you, as a real estate professional, to provide information to your clients instantly. So, you have the mobile technological means to target these clients, but how do you boost real estate sales in this digital, fast-moving era of instant gratification? Having a digital/mobile presence isn’t completely necessary, but it is extremely helpful. Today, home-buyers are also searching for potential properties quickly, easily and on the move. Current stats tell us 120% increase of real estate-related searches are conducted through smart devices and this trend is constantly growing. So, it would only serve you, positively, to just jump on the bandwagon and increase your online presence. A blog is just one great way to help increase your accessibility online. Real estate agents have several listings online and, thus, it is essential for them to have a well-organized application. Having a proper application enables your clients to filter results according to the parameters they have set — location, price, the number of rooms, etc. Realtors can update client preferences and can also manage all backups. With a mobile app, managing listings and sales leads, protecting data and client information become easy. This will help preserve your competitive edge. Having the best real estate mobile app helps real estate professionals provide clients with the search information they are seeking. Real estate mobile applications enable users to find and view everything, no matter what size screen they are using. Luckily, we at SnApp Real Estate are well-versed at providing clients responsive mobile apps that are guaranteed to boost your sales. These facts may be able to help you understand how investing your time in real estate mobile app development can be useful, but they can’t make the decision to start using one for your business. And we want to help you make the most of every mobile facet at your fingertips. If you’re a real estate professional who is seriously looking to engage clients in the new year, we’ve got a great option for you. Here at SnApp Real Estate, we are an experienced real estate mobile app development company that promises to build you high performance real estate mobile apps that will keep you increase sales in the new year. These apps will help you streamline your business and connect with clients easier. Take advantage of our easy to use and customize application technology. This entry was posted in app development company, app marketing real estate, Mobile apps for real estate agents and brokers, real estate technology, SnApp Real Estate and tagged app development company, app marketing real estate, Mobile apps for real estate agents and brokers, real estate technology, SnApp Real Estate. Bookmark the permalink.